Hi My name is Rascal. 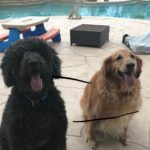 I am a Golden Retriever who was owner surrendered with my life long brother, Risky, which you will see here on Golden Retrievals website… We were surrendered together due to a broken home. We live and breathe for each other and really are looking for that special family who has open arms to care for us BOTH for life. We are happy, playful. We are friendly too! 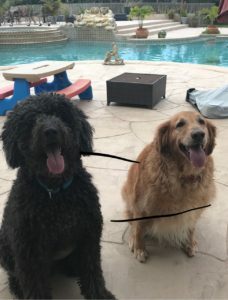 If interested, please fill out the Adoption Application for us both, which you will find here! Who will be OUR Valentine?? ?